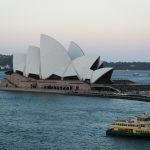 After a successful 2018 program, Luxperience will return to the International Convention Centre, Sydney, from 7-10 October, 2019. In 2018 the Luxperience program was reimagined and enhanced to create what is now widely acknowledged as a must-attend event. With an expanded team, a new home and a revitalised events program, the seventh edition of Luxperience has set the standard for future events. Hundreds of exhibitors and buyer delegates from around the world, thousands of one-on-one meetings and millions of dollars worth of new business all come together in the only trade show of its kind in the South Pacific region. Luxperience’s focus remains on building meaningful business opportunities and relationships and is currently seeking expressions of interest from suppliers of luxury and experiential travel. Premium travel specialists who service the needs of discerning clients are also being sought from around Australia and around the world. If you are interested in exhibiting opportunities or attending as a buyer, please contact a member of the team today on +61 (0) 2 9275 9200 or luxperience@divcom.net.au.